NVIDIA has just announced a new update for SHIELD TV brings additional functionality to the streaming media device. Thanks to a new Alexa skill, SHIELD TV users will be able to control it hands-free with their Amazon Echo devices. Alexa, set volume to 80 percent on SHIELD. Alexa, fast-forward ten minutes (on SHIELD). Alexa, go to settings (on SHIELD). Alexa, go home (on SHIELD). Alexa, go to control settings (on SHIELD). In addition, the update brings Dolby Atmos passthrough support for Prime Video. 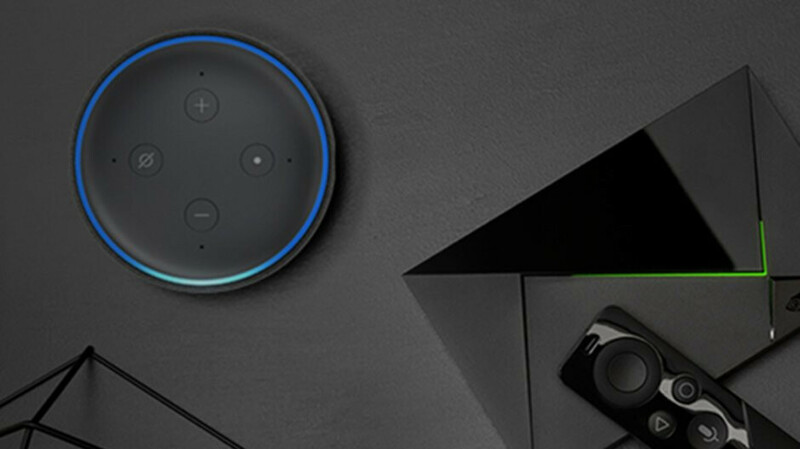 In order to benefit from the new improvements, you must pair an Amazon Echo device with your NVIDIA SHIELD TV from within the Amazon Alexa app, which is available for download on your smartphone via Google Play or App Store. Then, you'll have to enable the skill by opening the Alexa app and clicking the menu button. From the “Skills & Games,” search for “NVIDIA SHIELD TV,” select the skill and choose “Enable.” The final step requires you to select the SHIELD TV and Echo devices that you want to connect. On a related note, NVIDIA announced that through November 10, customers can purchase the SHIELD TV from Amazon or Best Buy and get an Amazon Echo Dot (3rd Gen) for free. I'd say get one regardless. It's always fast and smooth. I've wasted money on other devices like FireStick and MiBox. Shield has also received 3 updates in the year I've had it to make it even better. I agree. Do not wait. This is the best device I had since 2 years and no other console has come close. There are tons of deals in ebay for this.